Image of a soldier wrapped in a blanket on the battlefield. Behind the solider are men collecting dead bodies. A Red Cross Ambulance is also in the background. 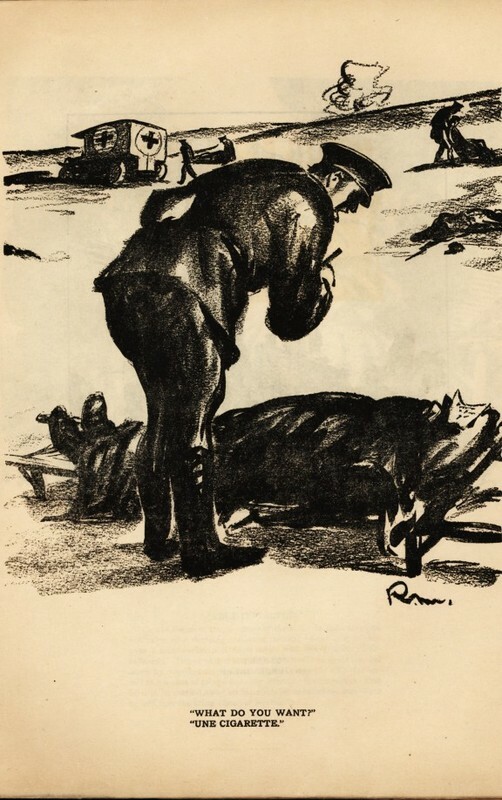 Image from War Pictures by Robert Minor published by the New York Call in 1918.